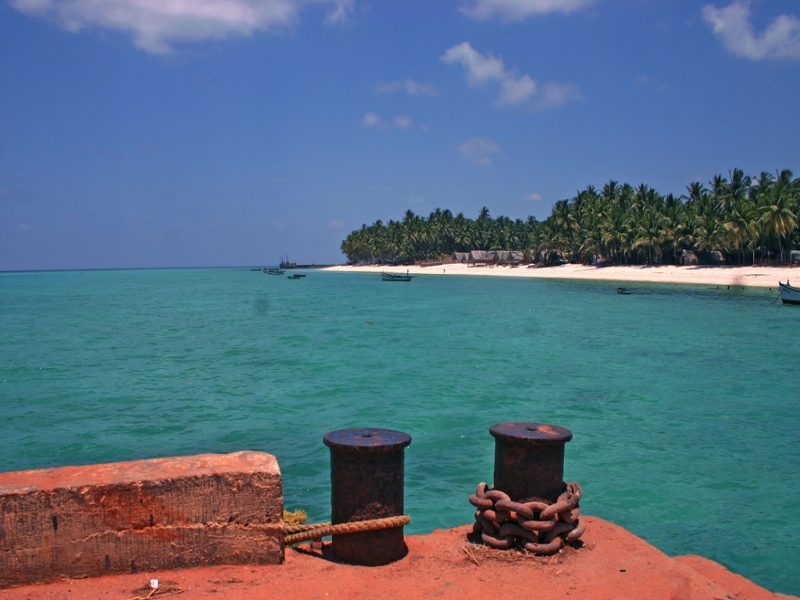 Agatti is one of the famous islands in Lakshadweep. Visitors, are allowed to the Island under certain restrictions. They are required to obtain Entry Permit from the Lakshadweep Administration for entering or visiting the island. Entry Permit is issued based on the visitor having a confirmed place to stay. There are only two hotels or resorts in Agatti: Agatti Island Beach Resort (AIBER) and the other is Sea Shells Beach Resort. A road runs through the island, which can be best enjoyed by hiring a bicycle available at many places. Agatti Island is a 7.6 km long island, situated on a coral atoll called Agatti atoll in the Union Territory of Lakshadweep, India. Agatti is located about 459 km (285 mi) off Kochi in the mainland and 7 km to the southwest of Bangaram, the nearest island. Agatti is 531 km away from Kollam(Quilon) and 529 km away from Kollam Port. Kavaratti, the closest inhabited island, lies 54 km to the SE and Suheli Par atoll 76 km to the south. Agatti Atoll's total land area is 3.226 km2 (1.246 sq mi) (of it, The main island 3.141 km2 (1.213 sq mi) and the small Kalpatti Island has 0.085 km2 (0.033 sq mi). Kalpatti is located at the southern end on the same reef. The lagoon area is 24.84 km2 (9.59 sq mi). Its population as per the 2011 census was 7,560 and Islam is the main religion of the islanders. Islamic religion is said to have been brought by Arab traveller Ibn Batuta. Most people speak Malayalam and English. Agatti has its own 100 kW power house which uses fuel to generate electricity. There is a Sea Water Desalination unit which provides desalinated water to the islanders. Lakshwadeep is connected to Cochin by sea route. Seven passenger ships operate between the two ports and it takes 14–20 hours for the passage. The 1,400 metres (4,600 ft) Agatti Aerodrome is the only airport in Lakshadweep. Been to Agatti Islands ? Share your experiences!